Investing in girl’s education is the most inclusive cause essential for a more prosperous and responsible society. Privacy and dignity- Setting up functioning toilets including repairing and improving existing ones. 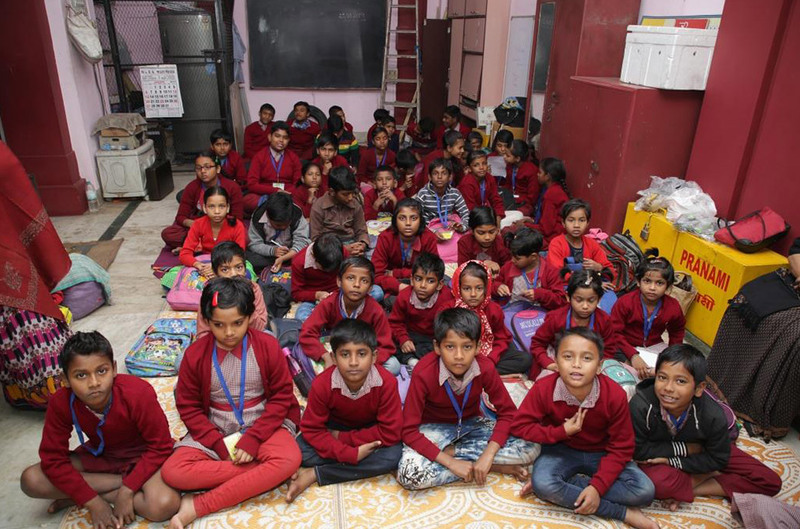 We work towards making them usable with running water, providing separate blocks for girls and boys in co-ed schools , changing rooms for adolescent girls/teachers, drinking water stations and a soft skills component of hygiene education for healthy living. Support to continue studies- Sponsoring students from weaker sections of the community (including tribal children) to continue their studies and mainstream them into formal schools/hostels for girls to take them out of harm’s way. Access to knowledge and information for the needy in schools- Refurbishing or setting up libraries in girls’ high schools. The NEED – Education is not mere Literacy! In the last few years, lot of steps taken to promote and provide education to one and all in our country. Back ward and low income group communities have been provided access to schools and colleges at nominal fees, but there’s so much more to it…. Providing mere access to schools does not ensure enrolment of all the children of the school going age. There are several problems on the supply side as well as on the demand side. The 42nd round of National Sample Survey ascertained the reasons behind nonparticipation in the available schooling system. Out of all the non-enrolled children in school, 46% mentioned of various economic reasons including household chores and another 29.5% mentioned that they were not interested in education. Out of those who discontinued 30.83% did so because of economic reasons, 16.3% did so because of their failure and they were rather pushed out of the system rather than they dropping out. Another 26% dropped out because of lack of interest implying that a large number of children do not find the schooling interesting .Inspite of improvement in the primary level after introduction of the Shishu Shiksha, the problem continues for the secondary level education. The two major challenge remains as to how to make the education outcome meaningful to those who are not interested in schooling and how to reduce the economic pressure in not opting to join and continue in schools forgoing whatever little income they can earn for the family as child labour. Such education no doubt help them to develop literary and numeric skill but its value in pursuing their economic life is limited unless the same is designed to enhance their skill and productivity in works which predominantly absorb them. Out of pocket expenditure for schooling, which is otherwise free is also pertinent in this respect and should be brought down by all means. Improving quality of teaching to help learning without any support from others outside schools either through private tuition or assistance of family members, which is not available for first generation learners is very crucial in this respect. 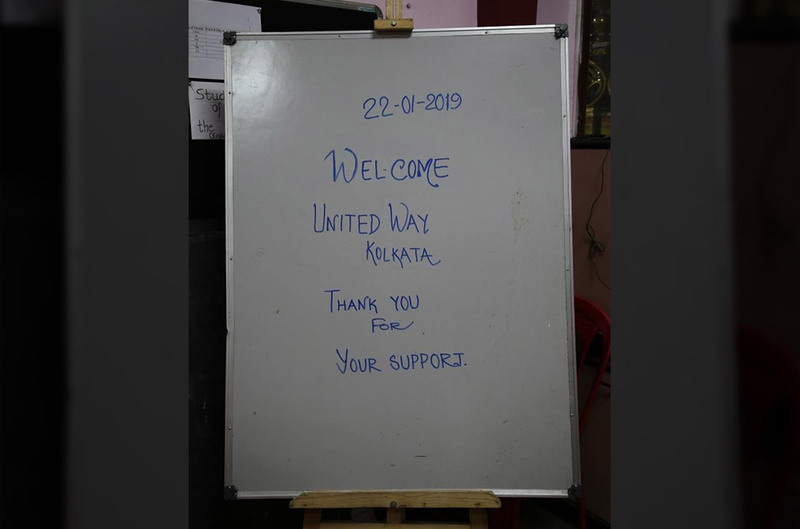 United Way Kolkata is providing this much needed Intervention and support assisted coaching and all -round development of 70 such children. They are not only provided coaching in all subjects by also taught Music, Dance, Drawing, And Karate. They are provided with meals, uniforms and all learning equipment. Medical check up, free medicines and psychological counselling is also provided to facilitate the basic challenges they face as stated above. With your help, we will be able to sustain such intervention that is so critical to improving the lives of these children and the entire community at large.